One of Sweden’s most celebrated restaurants since opening a decade ago, Frantzen reinvented itself in 2017 in a big-budget city centre venue more than five times the size of its original spot in Stockholm’s Old Town, yet sticking to just 23 seats. While the location is less charming, the attention to detail inside is off-the-scale. 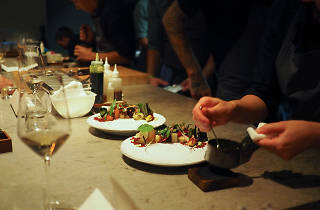 As far as the food goes, recent offerings have included Swedish pork marinated for a week in soy and mirin, smoked for 24 hours and hung to dry for 100 days, and a Rubik’s cube-inspired desert with rows of colour-popping garlic and lemon peel, arctic bramble, brown cheese and liquorice. The ambiance comes from an equally opulent interior, calm music (from the moment you step in the elevator) and impeccable service. Unsurprisingly, all this comes at a price. Frantzen has one of the most expensive tasting menus in Scandinavia, starting at 3000 SEK, before you’ve had a single drink. 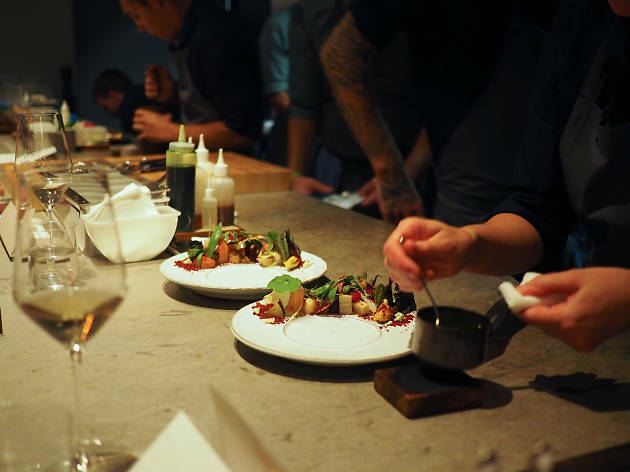 Time Out tip: The Frantzen Group runs several other top-notch eateries which suddenly appear to be bargains after you’ve seen the prices at its flagship restaurant. The Asian-inspired Franzen’s Kitchen and homely gastro pub The Flying Elk are our favorites.